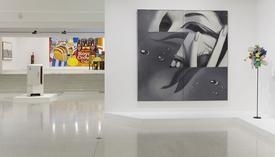 Organized by the Walker and on view April 11 through August 29, 2015, International Pop is a groundbreaking historical survey that chronicles the global emergence of Pop Art from the mid-1950s to the early 1970s. Following the Walker’s presentation, the exhibition will travel to the Dallas Museum of Art and the Philadelphia Museum of Art through 2016. 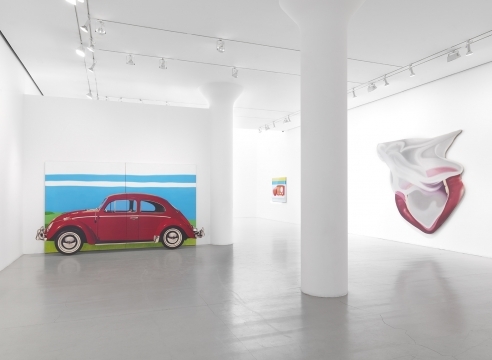 Pop is among the most broadly recognized phenomena of postwar art, primarily identified with Britain and the U.S. In truth, however, the Pop impulse was strikingly nomadic, contagiously spreading not only through Britain and the U.S. but also Japan, Latin America, and both Eastern and Western Europe. From its inception, Pop migrated across borders and media, seizing the power of mass media and communication to reach a new class of viewers and adherents who would be drawn to its dynamic attributes. Yet, as this exhibition will reveal, distinct iterations of Pop were developing worldwide that alternatively celebrated, cannibalized, rejected, or transformed some of the presumed qualities of Pop in the U.S. and Britain. This sensibility emerged in reaction to the rise of a new consumerist and media age, laying the foundation for the emergence of an art form that embraced figuration, consumerism, and mechanical processes with a new spirit of urgency and exuberance. Particular attention will be given to the specific socio-historical contexts in which Pop emerged, from the social democracies of Europe; to the politically and socially turbulent U.S.; to the military regimes of Latin America; to the postwar climate of Japan; and the restricted pop cultural palette of countries in East Central Europe. Curated by Darsie Alexander with Bartholomew Ryan for the Walker Art Center in consultation with an international group of scholars and curators, International Pop asserts that Pop was not a singular artistic style or brand, but a roving spirit and ethos moving with unprecedented force through culture at large in the 1960s through a new abundance of everyday commodities, mass media production, and mainstream advertising. Featuring some 125 art works by over 100 artists drawn from over 13 countries on four continents, International Pop will be the first exhibition of its kind to explore such a vast and diverse array of Pop-related production.